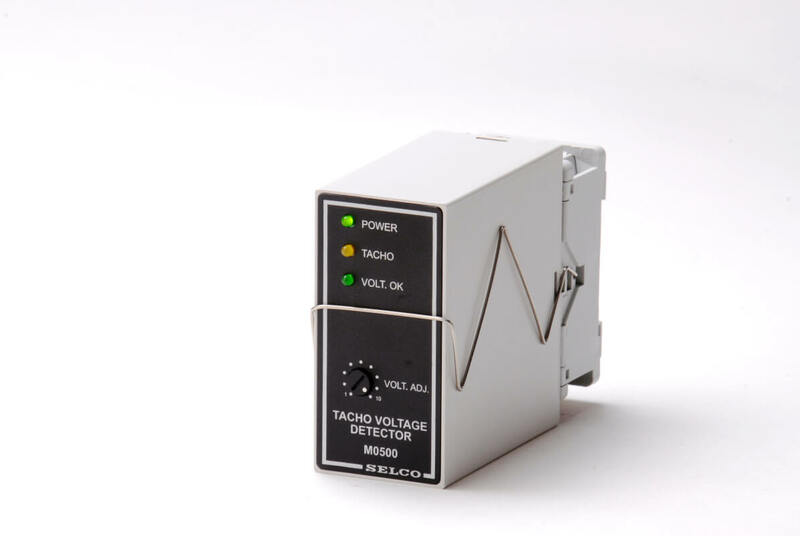 The Tacho Detector M0500 reads the engine speed from the frequency of the generator output voltage. The speed reading is converted to a square wave signal and this signal is provided on a dedicated output. The SELCO M0500 is an accessory unit for the SELCO M2000 Engine Controller and the M2100 Emergency Controller. The speed output signal is typically used in conjunction with the SELCO M2000 or M2100. This signal is used by the M2000/M2100 to provide crank disconnect at 33% of nominal speed and over speed alarm (and optional engine shutdown) at 115% of nominal speed. The M0500 also includes an output which tells the M2100 Emergency Controller whether or not the generator output voltage is within the nominal range.